Allow a tax preparer to understate your income on a 1099 or W-2 in order to lower your tax bill or get you a bigger refund, and you could be in big trouble if the IRS finds out. "The mere suggestion of falsifying documents to reduce tax bills or inflate tax refunds is a huge red flag when using a tax preparer," IRS Commissioner John Koskinen said in a statement. One common way this scam is perpetrated is when a shady preparer creates a "corrected" 1099 or W-2 form that claims your taxable income is actually zero, the IRS said. Or an unscrupulous preparer may ask you to sign a statement that rebuts the income and tax information reported to the IRS by your employer or another third-party. Bottom line: Never let anyone talk you into claiming deductions or credits to which you're not entitled. And never let others file a false return on your behalf. 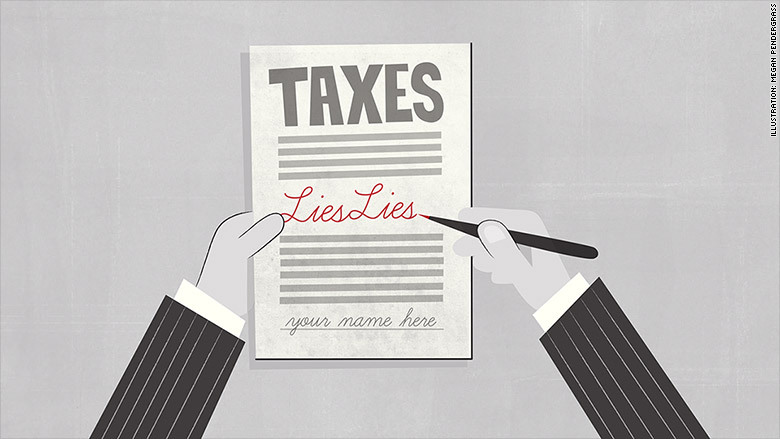 The act of filing a false return can lead to a $5,000 penalty, the IRS said. And your participation in a scam of this kind may also lead to interest and penalties on any back taxes you might owe -- and possibly criminal prosecution.